Since September 2015, Proactiva Open Arms has rescued more than 60,000 lives, from people fleeing their countries due to wars, violence and poverty. Hemav Foundation has developed a search and rescue drone to look for people and boats in the open sea. 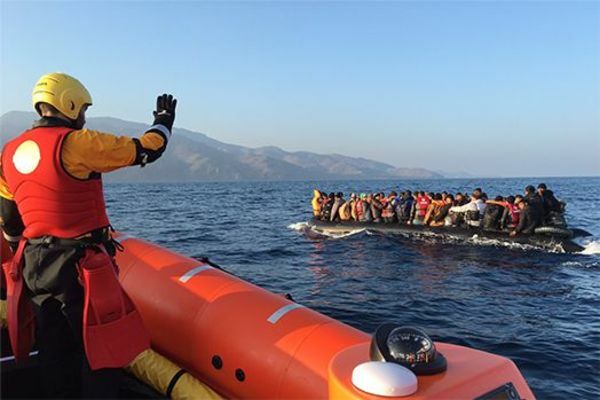 The project is in collaboration with NGO Proactiva Open Arms, which is doubling its area of reach and wishes improve outcomes for its rescue missions. The drones will work autonomously through different areas of the Mediterranean Sea to cover a larger area and ensure continuous monitoring. These drones has the ability to detect vessels and people by using thermal sensors. Once the target is located, it instantly sends images to the base ship, where action decisions are made. When the battery runs out, the drone returns to the ship and automatically lands. Detect vessels in areas where the ship can not reach due to navigation permission. Give timely warnings to allow the lifeguards to act. The people served can multiply. If 3800 people were treated last year, it is estimated that 6270 people could be rescued with this technology. Have a practically permanent surveillance of large areas of the Mediterranean Sea and significantly reduce the number of shipwrecks.